Asthma mudra is a special mudra to relieve an asthmatic attack.Regular practice of this Mudra helps to reduce the harmful effects asthma. 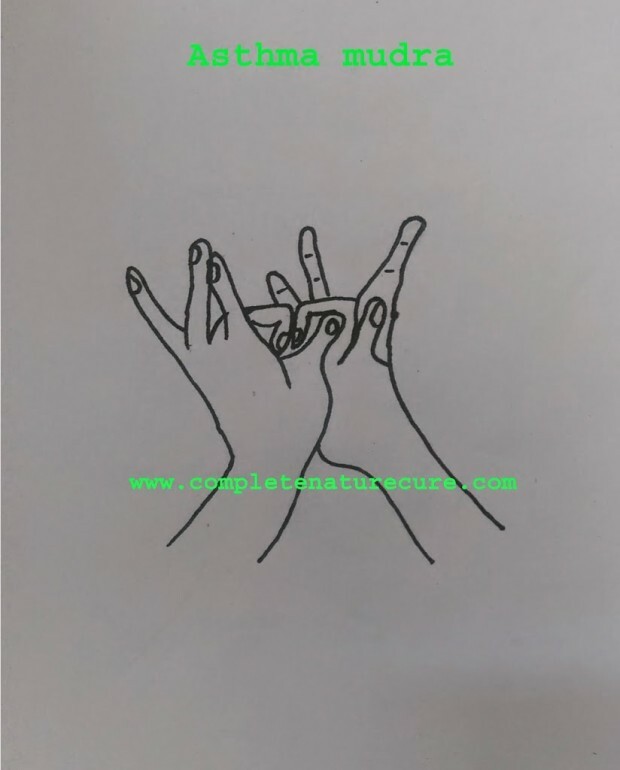 This mudra is very easy to do just pressing together the fingernails of the middle fingers and keeping the other fingers gently extended. This mudra is useful in the treatment and to prevent the attacks of asthma. When you are feeling a breathlessness situation 15 minutes of practice will be hugely beneficial. Regular practice of ten minutes twice a day will be useful to prevent future attacks. 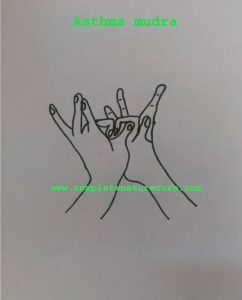 Top 25 Effective Hand Mudras for healing and treating physical and psychological disorders.